Lausanne is one of those places that usually gets overlooked in favour of its older siblings: Geneva, Zurich, Lucerne, Zermatt. 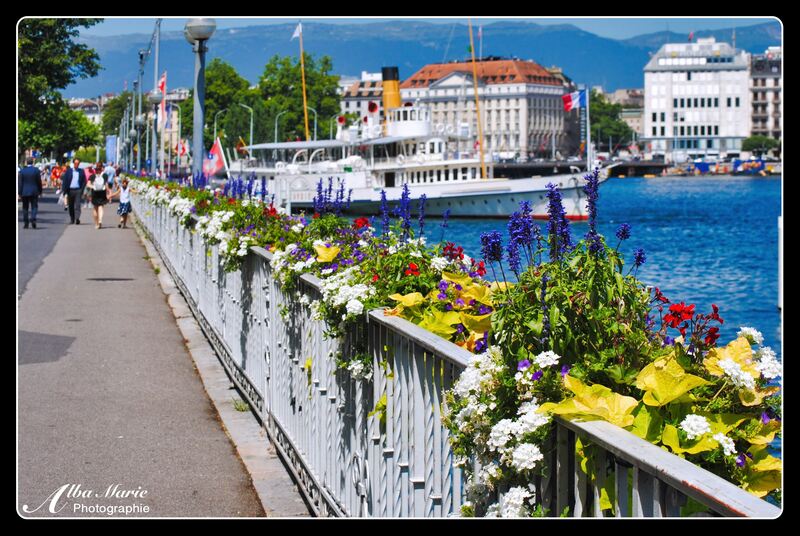 And yet, this underrated Swiss city on the shores of lovely Lac Léman deserves a visit. You won’t find the classy Cartiers and Rolexes of Geneva here, nor will you find the epic skiing of Zermatt and Interlacken, nor the quaintness of Lucerne. Instead, you’ll find a city that feels authentic and lively without feeling touristy or fake. With roots that go back to Roman times (the city’s name comes from the Roman camp Lousanna), Lausanne does not want for history – though nor is does it feel dusty and left behind. Old world charm mixes with modern buildings that parade across Lausanne’s city centre, marking the various epoques of the city. Lausanne is the capital and largest city in the Francophone region of Vaud (population 140,000). The city rests on the Swiss side of Lac Léman, facing France across the lake. Climb to the top of the hill to visit the magnificent 12th century Lausanne Cathedral, which has several important medieval features, as well as a massive and unique organ that took some 10 years to construct, and contains about 7,000 pipes! Also nearby is the Chateau de Saint Marie, current seat of the Vaud Canton government. From the top of this hill, you’ll get a lovely view of the city rooftops. Another place for great city views is the Fondation de l’Hermitage park and manor, just north of the centre. Back in Lausanne, wander through the quaint cobblestone streets of the old town before heading to the more modern part of town for a bite to eat! Pro tip: Lausanne cuisine is similar to many other places in the ancient Savoy region. While here, be sure to try the many cheeses like Gruyere (or even visit the town of Gruyere not far away! ), emmental, Swiss tomes, reblochon, Vacherin Mont-d’Or or raclette cheese (used for traditional raclette dishes), as a few examples. Also, take the train (keep in mind prices are not cheap) to the village of Montreux to visit the breath-taking Chateau de Chillon. The water laps at the edges of this seemingly remote medieval castle as the Swiss mountains fan out behind its towers in a picture of pure fairytale. One of Switzerland’s more famous places, Chateau de Chillon is not overrun with tourists, at least not during winter. Instead, the imposing chateau sits quietly – the ideal, romantic castle. 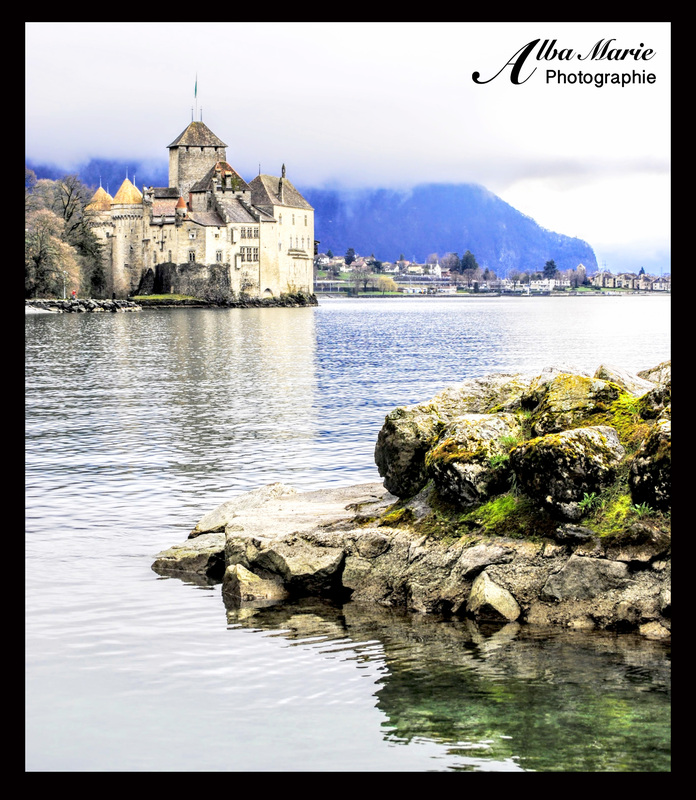 Located in the French-speaking Vaud region of Switzerland, Chillon enters written record in 1005. It was part of the ancient Kingdom of Savoy, today a melange of the French, Italian and Swiss Alps (such places like Chamonix, Chambery, Torino and Lausanne were once part of this kingdom). What started as a gatehouse to the ancient mountain pass morphed into a summer home for the dukes, then into a prison, then artillery fortress. Home first to the dukes of Savoy, then . to the Germanic Bernese and finally the Francophone Vaudois, Chillon changed hands following the rise and fall of eras. Chateau de Chillon is certainly one of the most romantic of the ancient fortresses, but it is far from the only one. The Alps are thickly peppered with such castles, each guarding strategic sites like roads, mountain passes, lakes. Today, Chateau de Chillon is like visiting a place lost in time, one that has fallen from the pages of a fairy tale. Pro Tip: Take the train to the lovely village of Montreux and from there, walk along the lovely lakeside path for beautiful views! About 3.5 km (40 mins) from the train station. There are also cable cars and hiking trails in the mountains behind the castle, but keep in mind that accessibility is seasonal and weather permitting. Geneva’s lovely Jardin Anglais overlooks the mouth of the famously beautiful Lac Leman at its convergence with the Rhone River. Constructed in 1855, this lovely urban garden hosts the famed horloge fleurie, or ‘flower clock’, which was built at the park’s centennial as a way to pay homage to the Switzerland and its affinity for clocks. Originally a wooded patch of embankment, the city of Geneva decided to buy it and turn the area into a lakeside park, part of an initiative to develop a new luxury neighbourhood. Even to this day, the neighbourhood surrounding the Jardin Anglais (as with most of central Geneva) is luxurious and beautiful. It is a place where Porches and Ferraris are parked, where shops like Cartier, Chanel, Gucci and Burberry are the norm, where the flats are glorious and expansive, with flower-clad balconies overlooking Lac Leman. Despite its name, this manicured and meticulous garden with its flower clock, perfect organisation, and profound cleanliness, is so undeniably and unmistakably Swiss. Barreling through parts of Switzerland, France, Austria, Italy, Germany, Liechtenstein and Slovenia, the Alps are Europe’s premier mountain range. Though Mont Blanc is the tallest, there’s far more to this rich mountain range than the graceful, snowy peak of Mont Blanc. 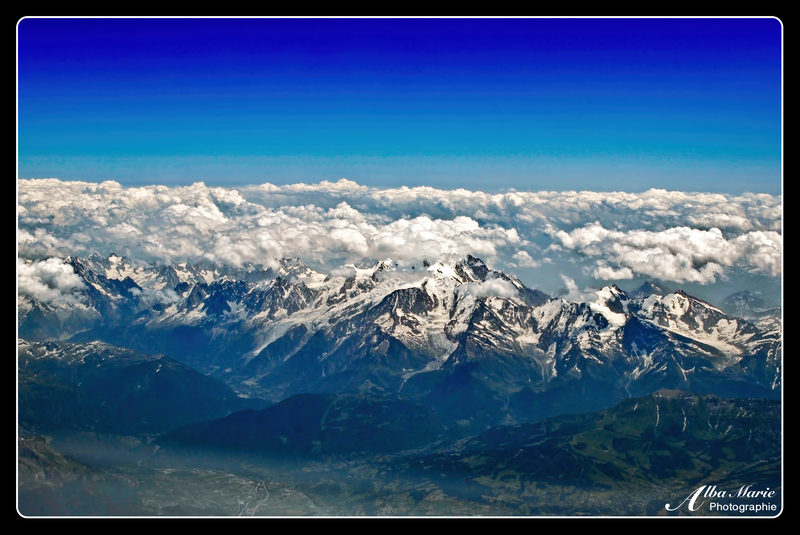 The snow-capped mountains and rugged landscapes of the Alps have always played an important role in the cultures that are contained within them. Mountain passes doubling for trade routes through these Alpine peaks have encouraged the castles, settlements, villages, towns and roads that sit within their harried shadows. In the past century or so, the majestic slopes of the Alps have given life to some of the top ski resorts and destinations, such as Chamonix, Megeve, Aosta, Cogne, Innsbruck, Zermatt, Interlaken, and so many more. In the 18th and 19th centuries, the pristine air and utter remoteness of the Alps were appreciated by wealthy Europeans looking for long holidays abroad to ‘improve their health’ who often chose resorts and villages in the Alps, usually preferring Switzerland. The Alps contain some of the original European ski resorts, and it has only been in recent years, however, that the Alps have been widely appreciated by both travellers and the tourism industry as a summer destination, building up summer infrastructure for hiking and mountain biking paths, zip-lines, horse-riding, swimming in Alpine lakes, Alpine summer cuisine, local artisans and crafts, and more. Switzerland has some of the most well-known peaks, top resorts and most adorable Alpine villages and valleys and is therefore recognised as the all-around Capital of the Alps. Where Should I Visit in the Alps and Pre-Alps? Deep within the Swiss Alps, you may come across the most unlikely of animals: a majestic lion quietly sleeping in a rock. 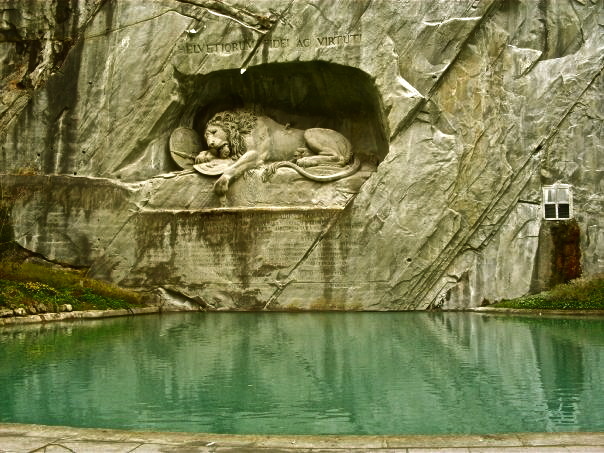 This is the Löwendenkmal, a statue designed and built by Lukas Ahorn in 1820-1. It commemorates the members of the Swiss Guard that died in the bloody French Revolution massacre (of course, the words “bloody massacre” and “French Revolution” go hand-in-hand) when the revolutionaries (aka violent, unorganised mobs armed with crude weapons) stormed the Tuileries Palace in Paris. The Swiss Guard had been a part of the Royal Household from as early as the 17th century–and over 600 Guards were killed in the ensuing massacre, with more dying in prison later on. (Interestingly, the Swiss Guards that survived were the ones sent to Normandy.) It was Karl Pfyffer von Altishofen who began the initiative to create the memorial; he had been on leave in Lucerne at the time of the massacre and seemed to be suffering from survivor’s guilt after the fact, prompting him to commission the statue. No matter; the injured, sleeping lion he created is a beautiful and unexpected monument, ensuring the dead are never forgotten.